Many of our customers come to us in the prototyping stage of product development with the need of having parts made quickly for testing and fit up reasons. Whether the prototype parts are sheet metal fabricated or welded assemblies, we have the ability to produce trial parts quickly and accurately. One of the reasons this is possible is Duggan’s tooling is engineered and produced rapidly in-house, which is efficient and economical for our customers. Additionally, these parts are generally made to a precision greater than production tolerances and quick assembly fixtures can be produced from customer CAD designs in parallel with part production, adding to the value of selecting Duggan Manufacturing as your industrial prototyping supplier. We have stamping presses with capacities from 10 to 1200 tons and sizes from as small as .25 inches up to 14 feet. The thickness of materials we generally work with range from parts as thin as 0.002” and as thick as 1”. We have assembly capabilities that are limitless in size for MIG and TIG hand welded parts. Spot welded parts can be made in all different configurations, with as many as five different parts, or a 5 T (thickness) part weld can be accomplished with our equipment. We offer remote laser welding at the prototype level as well. Our fiber optic laser welding systems are capable of sheet metal prototype volumes as well. We have been producing laser welded prototype parts for over a decade. Not all parts and assemblies go through the build process as planned. Sometimes overseas tooling is delayed or a late part design change causes an emergency need. Duggan Manufacturing can close the gaps our customers experience when short run production parts are needed. 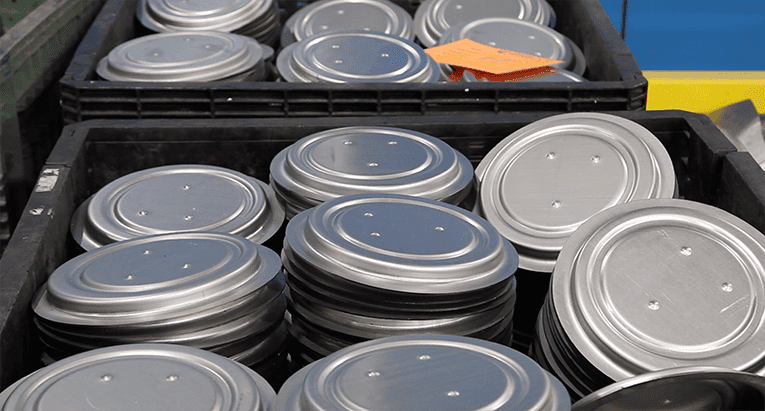 When it comes to stampings, we have over 60 presses at the ready to be utilized on demand for short run stamping production needs. 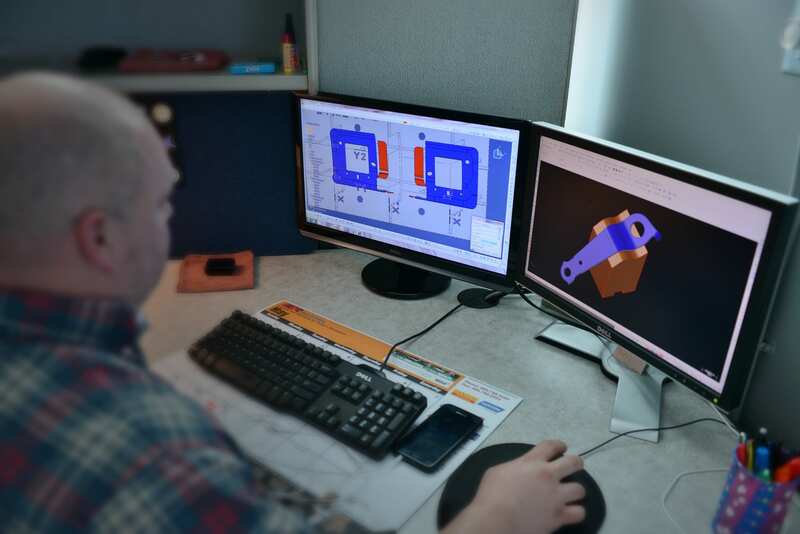 When a large amount of parts are needed in a tight timeframe, Duggan has the capability to address our customer’s stamping needs quickly and keep our customers production program on schedule. When it comes to an emergency prototype and assembly situation, we are able to utilize our multiple robotic welding cells, and our quick design fixture capabilities to make sure our customers do not miss part and delivery needs. In many cases our customers’ production volumes are a great fit for Duggan to produce. 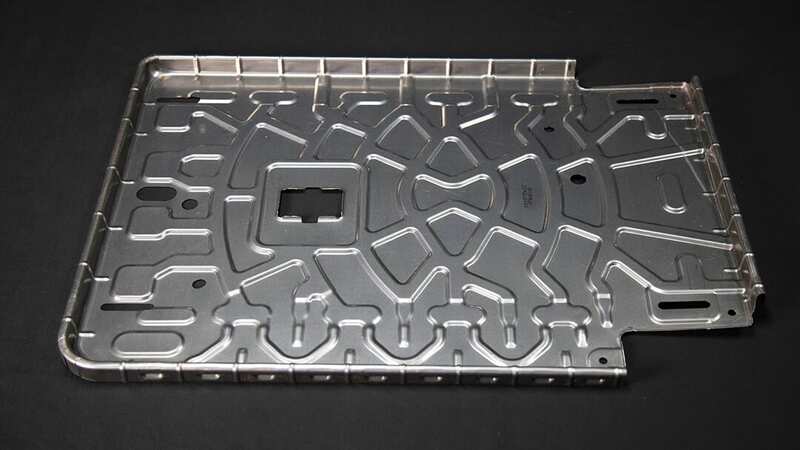 In low volume situations, our laser cutting abilities can eliminate the need for expensive production tooling to produce parts. The power and efficiencies of our laser cutting systems deliver the quantity and quality our customers require. 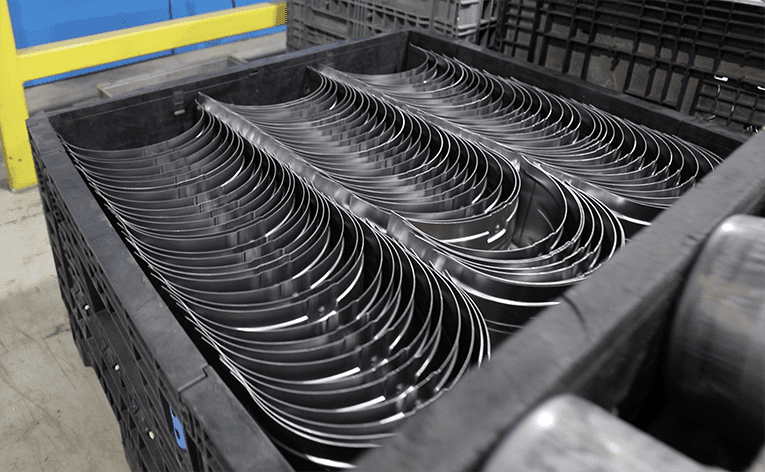 The tooling and assembly fixtures we produce internally are capable of running a minimum of 100,000 parts in many cases. We have learned a lot from running parts and we know what can go wrong and how to keep the process focused on high quality outcomes. The key is flexibility and economics, if any tweaks need to be made, we can stop the run and make the changes. The beauty of this process is our customers do not have to store a warehouse full of unusable parts because the initial design failed. As technology becomes more adaptable to market trends, our Tier 1 Supplier and OEM customers can expect to see more profits from low volume production practices. From prototype to production, Duggan Manufacturing has the ability to elevate and accelerate our customer’s needs and scheduling demands with ease. Whether it is an emergency change to a part or rushed delivery, we welcome the challenge. Industries served include automotive, aerospace, agriculture, defense and appliance industries and are always expanding.